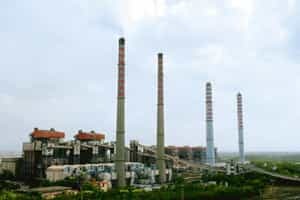 New Delhi: Nearly two years before the government allowed Reliance Power Ltd to divert surplus coal from blocks alloted for its Sasan power plant to other projects, the Centre had asked state-owned NTPC Ltd to surrender one of its coal blocks for the Sasan project. The 4,000MW project in Madhya Pradesh had been earlier alloted two coal blocks—Moher and Moher-Amlori Extension—before the government decided in late 2006 to also allot the Chhatrasal block it took away from NTPC. On 13 August this year, an empowered group of ministers allowed Reliance Power to use surplus coal from captive mines allocated for the Sasan project for other projects being developed by it or its affiliates. This means the company can use the coal for its 4,000MW plant project at Chitrangi, also in Madhya Pradesh. Reliance Power, controlled by Anil Ambani, has agreed to sell power generated at Sasan at Rs1.19 a unit, while it plans to sell power generated at Chitrangi at Rs2.45 a unit. To be sure, NTPC was asked to give up the coal block before the project was awarded. Initially, the Sasan project was awarded to a consortium headed by Lanco Infratech Ltd. However, this group was subsequently disqualified for violating bidding norms and the project awarded to Reliance Power on the condition that it match Lanco’s bid. According to documents prepared for the consideration of the ministerial group, which were reviewed by Mint, while the power ministry had asked for an additional coal block in October 2006, the block was allocated in the same month to Power Finance Corp. Ltd—the nodal agency for the award of projects with installed capacity of at least 4,000MW. The ministerial meeting of 13 August was the first one held after the 22 July trust vote the ruling United Progressive Alliance coalition at the Centre won, largely thanks to support from the Samajwadi Party, whose leader Amar Singh is considered to be close to Anil Ambani. A Reliance Anil Dhirubhai Ambani Group spokesperson didn’t respond to emailed queries. “This (using surplus coal) is subject to the coal ministry certifying that the blocks have surplus coal. This will be allowed after meeting the full contractual requirements of Sasan, which will be always our first and overriding priority," said power secretary Anil Razdan. “Reliance Power has said that they will be far more efficient in mining due to which the coal extractability will be much more than what was envisaged. It is for the coal ministry to decide whether there is surplus coal or not," he added. “While the coal ministry was of the view that there will be marginal shortfall from the two coal blocks of Moher and Moher-Amlori Extension for the project, the power ministry was of the opinion that there will be a substantial shortfall, and hence the need for the third block," said a top coal ministry official, who asked not to be named. “This is completely contrary to all procedures and unfair to all other participants in the process," said a New Delhi-based energy analyst who did not want to be named due to the sensitivity of the issue. “This kind of act will set back the competitive bidding process by impairing transparency and fairness."